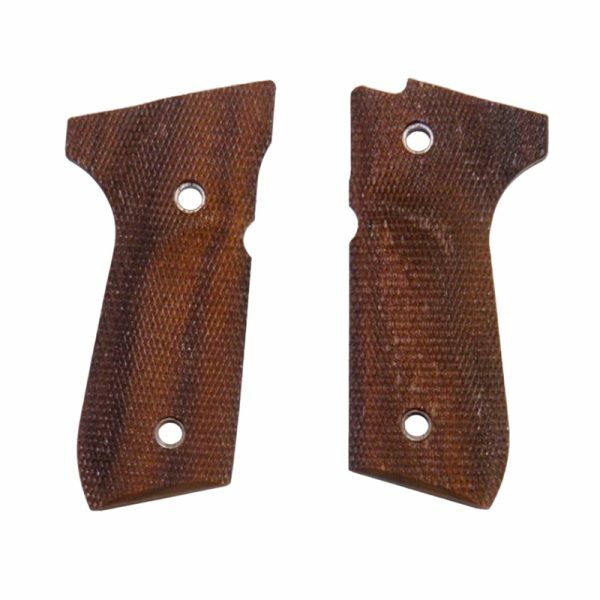 Beretta 92 Walnut Grips - Vintage Gun Grips - Reproduction Pistol Grips, Buttplates and Grip Caps. Made in several versions, this is a large double action pistol introduced in 1977. Designed for use by military and law enforcement. Distinguished by an ambidextrous safety, and unique rotating firing pin. Adopted by United States military armed forces.